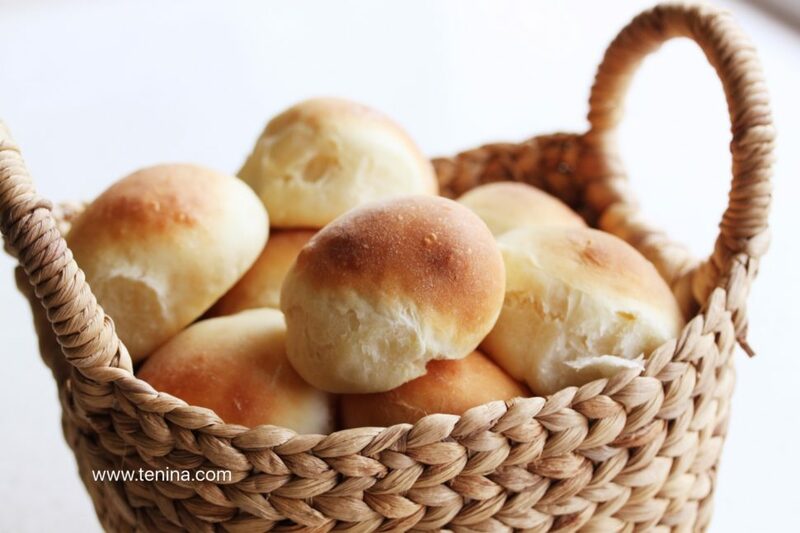 With all my new found Asian recipe experience, you would think that rolls would be the last thing on my list for this site….but truly, the most beautiful bread rolls I have ever eaten were prepared during my Chinese journey…and I had to share this method, if not the ingredients. Slightly different, (largely because I had made butter and had a surplus of buttermilk!) I used all buttermilk for the liquid component and despite (or because of?) a sticky dough, the outcome was A.M.A.Z.I.N.G! A little science about buttermilk in baking can be found here, but essentially, the acid in the buttermilk breaks down the gluten in the flour and voila, you have amazingly Soft Buttermilk Rolls. Eat at your own peril, because one just isn't enough! Add all dough ingredients except yeast to cooked Roux in Thermomix bowl and mix 10 sec/speed 6. Add yeast and knead 4 min/Interval. Scrape out onto floured Silicone mat and wrap. Prove until doubled. Shape into rolls with wet hands. (This makes the stickiness easier to cope with.) Place onto lined baking sheet, cover and rise until doubled. Place into cold oven and bake for 15-20 minutes at 180°C.